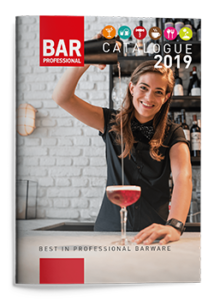 Barprofessional originated from the company Luyten, which has been a supplier to the drinks industry since the beginning of the last century. Initially primarily to the Schiedam gin industry, supplying screw caps and labels among other things. The company later acquired agencies to import such things as measured pourers and non-drips. Over the years we have developed a wide range of renowned products and brands for use in the hospitality industry in general and bars & restaurants in particular. Our client base includes catering wholesalers, the drinks industry and the wine trade. Barprofessional has extensive expertise in the sector. For several years now we have been marketing our own brand of high quality barware. Our passion for the drinks industry inspires us to continuously search for the best products and innovations in the market. You the customer, the professional, remain our central focus.